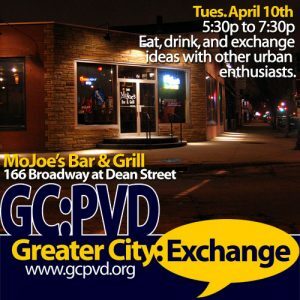 The next Greater City: Exchange will be Tuesday, April 10th starting at 5:30pm at MoJoe’s Bar & Grill, 166 Broadway at Dean Street on Federal Hill. Please join us for open discussion about the city. Our special guests will be members of the West Broadway Neighborhood Association speaking about their group, the work they do, and the challenges they face. This is a great opportunity to come out and hear about the WBNAs work and to exchange ideas. The May GC: Exchange will be held on Tuesday, May 8th, where we plan to have Garry Bliss make a presentation on the Transit 2020 Initiative. 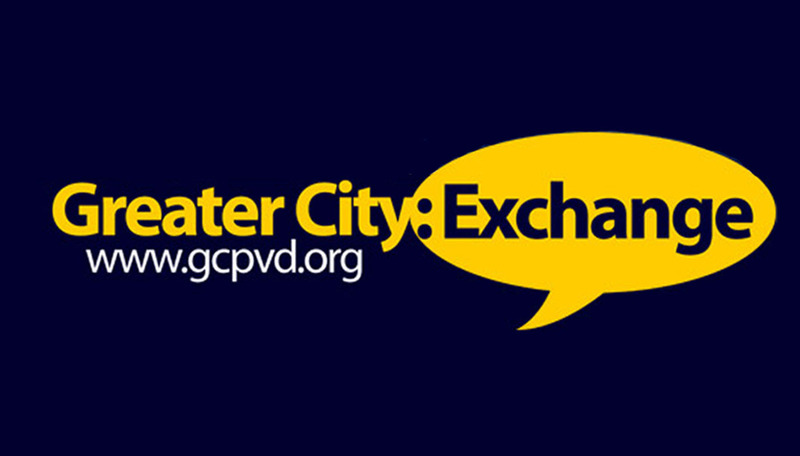 The June GC: Exchange will be held on Tuesday, June 12th, where we plan to have members of Greater Elmwood Neighborhood Services discuss their organization and the work that they do. For exact times and locations of upcoming GC: Exchanges please visit our website or sign up for our Newsletter.